A glass plate portrait loaded with family secrets and a chance exposure to a noted photographic collection foreshadowed the photo activist work Bill Gonzalez does today at Durham Museum. He grew up in South Omaha the oldest of eight children of Mexican immigrant parents. An old image of his grandparents in Mexico intrigued him enough as a boy to ask questions. He discovered his maternal grandfather was a wealthy rancher who married multiple times to younger women. Then there was the tale of a great aunt in the family’s ancestral village who was hidden from marauding bandits in the lawless post-Mexican Revolution years. A 1967 slideshow at South High School showing select photos of early Omaha from the Bostwick-Frohardt Collection motivated him to learn about the stories behind the people, places and events of his hometown. Gonzalez was always inquisitive and an avid reader. He’s the product of tough love. Nothing was as satisfying as his current Durham gig. “The best part of my job is helping people find pictures they have personal connections to, like the neighborhood church, school, movie theater or park they used to go to. When I can find a picture that means something special to somebody, that is the best high I can get. He takes seriously the role the archive serves. From the Bostwick-Frohardt Collection, this 1911 image was taken on top of the Union Pacific Railroad Building at 14th & Dodge streets looking east. He compares the searches he makes to a hunt. Educators, historians, journalists, students, laborers, and folks from other walks of life request his help. He works with highly educated interns and staff but feels he has something to contribute they cannot. Gonzalez might never have done this work if not for an injury on his previous job that forced early retirement. He began as a volunteer before joining the paid staff. He’s discovered “there’s a whole world of people out there that have the same interest” he does in history. 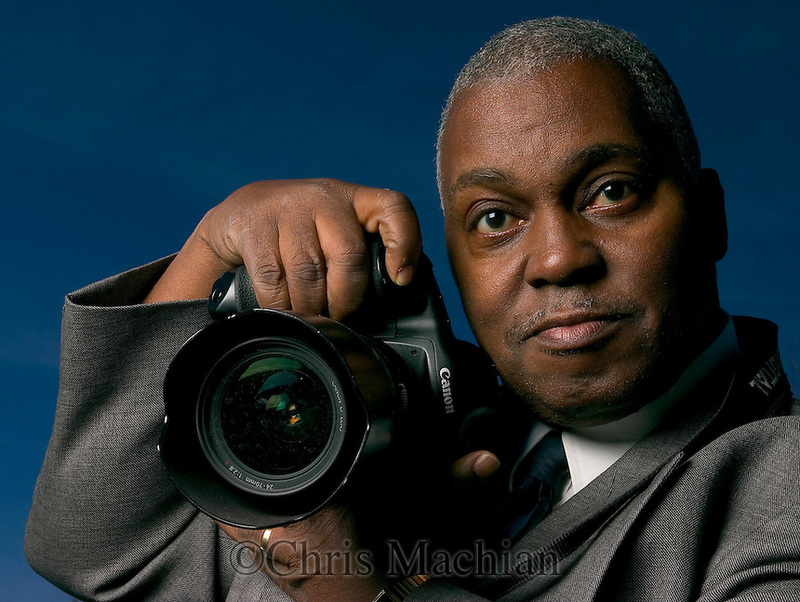 The Durham photo archive is a resource for the whole community, he emphasizes. For Gonzalez, there’s nothing better than sharing his passion with others. He’s grown a following for his Flashback Friday posts on the Durham’s Facebook page. He makes occasional public presentations. “I’d like to do more of that because that’s what got me hooked on this. I’d love to go out and talk to a group of kids and maybe have one of those kids study history or get involved with the museum because of what they saw. That would be a neat thing. Contact the museum’s photo archive department at photoarchive@durhammuseum.org or by phone at 402-444-5071. The archive can be searched online anytime at durhammuseum.contentdm.oclc.org. viewfinder used to see this and other early 3D images. From the John Savage Collection. When Omaaha’s downtown sidewalks teemeed with people. This is from circa 1967 outside J.L. Brandeis & Sons Department Store. Since first picking up a camera in the 1960s while ministering to residents of Sioux reservations in South Dakota, the Rev. 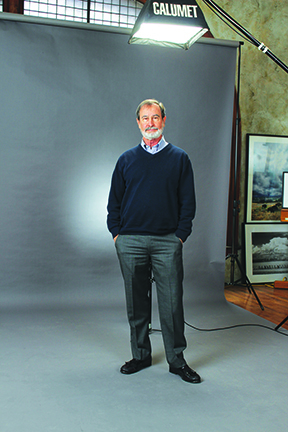 Don Doll of Omaha has become a well-traveled, award-winning photojournalist. The Jesuit priest is perhaps best known for chronicling the Lakota, Dakota and Nakota people’s attempts to integrate traditional ways in nontraditional times. Two acclaimed books, Crying for a Vision (1976, Morgan and Morgan) and Vision Quest (1994, Crown), depict the suffering and resurgence of these Indian cultures through his haunting pictures and his subjects’ stirring words. For a pair of National Geographic spreads he lived with Yupik Eskimos and Athapaskan Indians to record the daily rituals of native societies far outside the mainstream. For the Jesuit Refugee Service he captured the human toll exacted by land mines in Angola and Bosnia and the wrecked lives left behind by civil strife in Sri Lanka. For yet more assignments he went to Cambodia, Belize, the Dominican Republic and other remote locales to document the disenfranchised. Major publications have long sought Doll’s talent, but he has remained selective about the projects he takes. Until recently, he used a 35-millimeter Leica to tell his stories. Now, at 63, an age when most artists slip comfortably into a safe niche, he is reinventing himself as a videographer. While far from abandoning still work, he now mainly works in digital video and, along with writer Elizabeth O’Keefe, a former student of his who is publications coordinator for the U.S. Jesuit Conference, he is beginning to make waves in this new field. A story he shot and that he and O’Keefe edited and produced appeared on ABC’s “Nightline” last year. The story, “Finding Ernesto,” grew out of a report the pair prepared in El Salvador on the efforts of Jesuit priests to reunite loved ones separated during the civil war there. A second story by the team — this one chronicling a Jesuit priest who is a kind of Martin Luther King figure in India — is being considered for future “Nightline” airing. The El Salvador and India pieces are installments in a larger, multi-media documentary project by Doll and O’Keefe called The Jesuits: Two Thousand Years After Christ, which illustrates the Jesuit order’s mandate of working toward social justice and respecting other cultures. Additional stories for that project include a biography on Society of Jesus founder St. Ignatius, which sent the filmmakers to Spain and Italy last spring, and a look at the Jesuit presence on the reservations, which brought Doll back to his old stomping grounds. 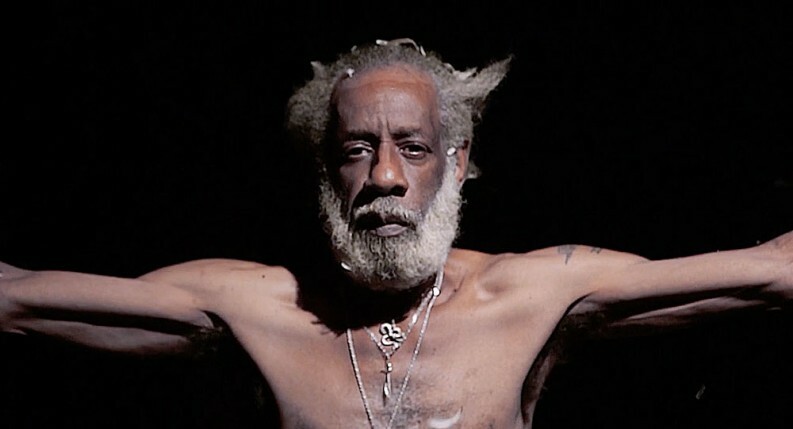 How he came to photograph old friends in video after portraying them in stills is emblematic of his need to find new means of expressing himself and his faith. The ever-inquisitive Doll attended intensive professional workshops on Web publishing and DVD production. Part of his motivation to learn new forms was to introduce his students to Wed design, a class he has taught at Creighton, and to gain more personal expertise making CD-ROMs. “I began to learn that just having pictures and type on a page is not enough. You also need sound and video. I saw people multi-purposing their material — interviews, photographs or whatever — and publishing them in different media.” Attracted by that idea, Doll incorporated his Vision Quest work, both the images he made and the sound recordings of interviews he conducted, into a CD-ROM but found many interviews unusable due to excessive ambient noise. “I resolved the next time I did any project the sound was going to be outstanding.” Under the instruction of veteran videographers Doll not only learned state-of-the-art audio but, much to his surprise, developed an affinity for making moving pictures. Transitioning from the still to video format has meant learning a whole new set of techniques, realities and assumptions. Overall, he described as “exciting” his adventure in video. Gone, however, are the days when he could quietly insinuate himself into a scene and be an inconspicuous observer with only his small hand-held camera in-tow. Now, he lugs around a big, clattering batch of audio-visual devices that require more set-up, more cooperation, more planning. They say beauty is in the eye of the beholder. Photographer Jim Scholz of Omaha finds beauty wherever life takes him. The 73-year-old former Roman Catholic priest began making images growing up in the St. Cecilia Cathedral neighborhood. He was born in Cheyenne, Wyoming during the Second World War. His father saw U.S. Army duty in the Pacific. After WWII, his father was offered a job with an Omaha company. Jim was 5 when his family moved here. His father worked management jobs at various Omaha firms. His stay-at-home mom eventually went back to work in her chosen field, dietetics, at area hospitals. Scholz kept right on developing his photographic eye at seminary in Denver, Colorado, doing graduate work at Creighton University and serving metro parishes as an Archdiocesan priest. He doesn’t say it, but there’s a sacred dimension to capturing the essence of humanity and nature. As a priest ministering to his flock, he was called to mirror Christ’s unconditional love and to share the liturgy’s sublime peace. As a photographer, he reflects back what people project or see. Sometimes, he shows what they’ve never seen before. Surely, there’s something inspirational, perhaps even spiritual in that. Omaha fashion designer Mary Anne Vaccaro admires his fidelity to beauty. 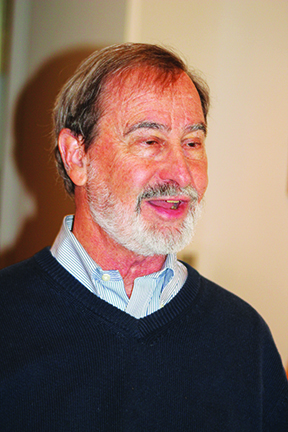 Tom Sitzman, owner of Connect Gallery in Omaha, sees in Scholz’s photography the same sensitivity and compassion that infused his ministry. 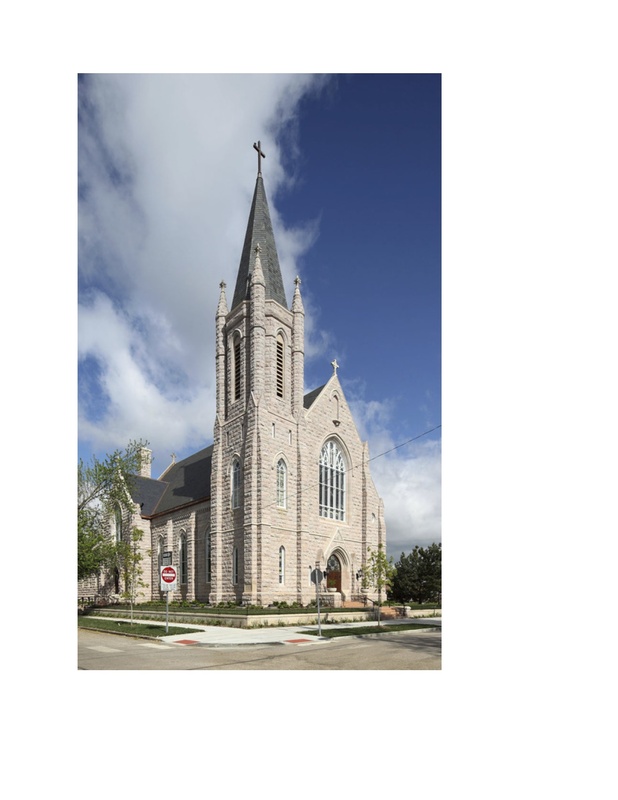 Scholz ministered in Elgin, Nebraska and at St. Bernards, St. Cecilia and St. Leo in Omaha. The parish he served longest at was Sacred Heart in North Omaha, where he helped found Heart Ministry, which has grown to serve residents needs in the city’s most poverty-stricken neighborhood. 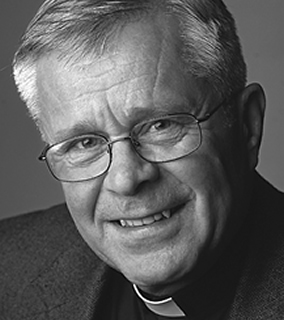 Scholz received the 1995 Omaha Archdiocese Sheehan Award (then-the Presidential Citation) recognizing clergy as outstanding leaders in their communities. During his 1981 to 1998 Sacred Heart tenure, he took over an integrated parish in decline, its ranks thinned by white flight. Mass attendance was abysmal. Gospel already had a hold there, thanks to Father Tom Furlong introducing it in the ‘late ’60s-early ’70s. He got the idea for more spirited, gospel music-based “uplifting liturgies” from an inner city parishes conference in Detroit. He was by impressed how churches in similar circumstances turned things around with the help of gospel. He saw the music as a homage to black heritage and a magnet for new members. Scholz found a first-rate choir director in Glenn Burleigh, under whom the church’s full-blown entry into gospel began at the Saturday night Mass. The 10:30 Sunday liturgy remained ultra-traditional and sparsely attended. 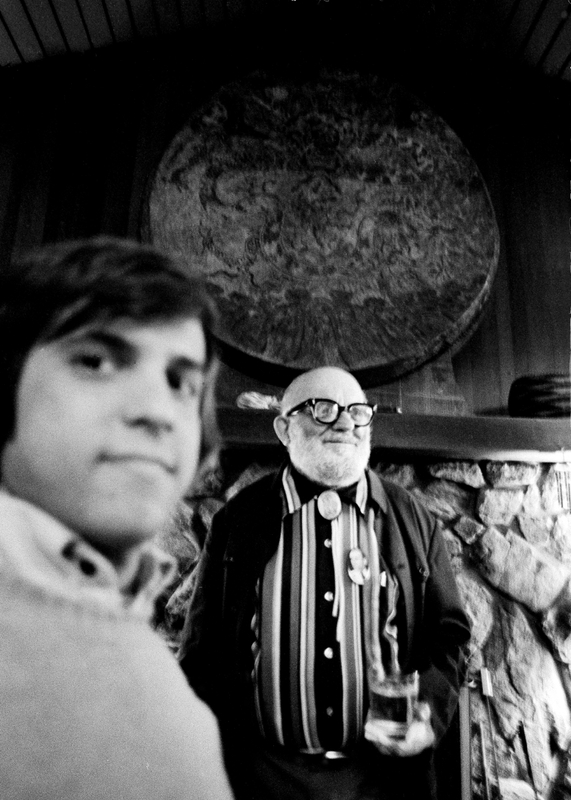 “Glenn wrote special music almost weekly for the service. People started to come out of the woodwork once the word got out. It was such a refreshing thing. When Burleigh was hired away by a mega-Baptist church in Houston, Scholz tapped his assistant, William Tate, to take over. Scholz recruited a new choir director, Mary Kay Mueller, to energize the 10:30 Sunday service. 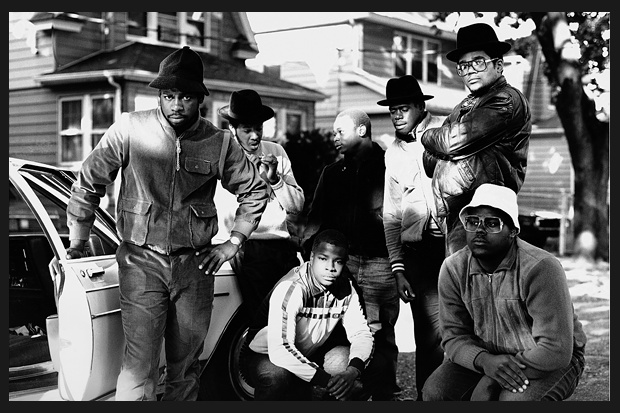 For inspiration, he referred her to The Blues Brothers. So it came to pass the movie’s Triple Rock Church became a model for the expressive Sacred Heart liturgy. No, Scholz weren’t interested in “people doing somersaults down the front aisle. But he wanted “to come up with that spirit.” Unbridled. Joyous. Free. “We really need to come alive here,” he told Mueller. Thus, the Freedom Choir was born. The rest is history as that rollicking Sunday service began packing the pews and still does three decades later. All the while Sacred Heart grew its base, Scholz made photographs. “When I had a little time off, an afternoon, or before I’d go to bed at night I’d probably spend the last half hour of my waking life that day by reading about photography or studying photographers like Ansel Adams and all these heroes of mine. Other photographers Scholz has admired and studied include Wynn Bullock and Edward Weston. Scholz followed his cleric calling for 27 years. After much deliberation and prayer, he shed the collar in 1999. He is still Catholic and regularly attends Mass. Now, he’s nearing 20 years in his second career as a full-time architecture, portrait and fine art photographer. Ideas for projects are not hard to come by. “I probably have more imagination than time. Every now and then I’ll get cranked up about a certain theme or methodology. I started a project photographing Omaha and Nebraska artists a few years ago. I just wanted to do that. I know a number of artistsand i started taking their picturesI’m about half way through that and hopefully I’ll have a show. He envisions an exhibition in which each of his artist portraits is displayed next to a work by the artist, whether a sculpture or painting or whatever it might be. Catherine Ferguson is among the artists Scholz has photographed. He’s also photographed her work. Another artist friend is Shelly Bartek. 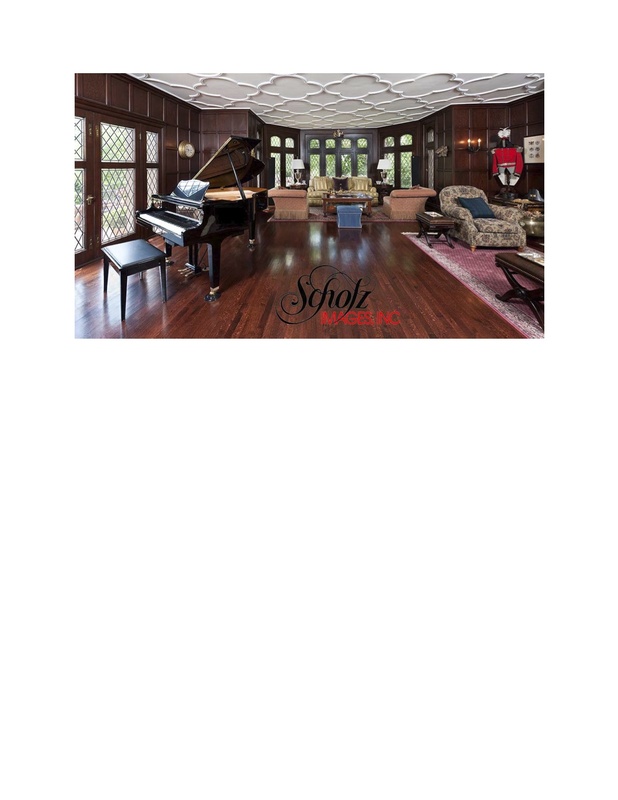 passion to create art in his work has inspired us all through his concept and technical perfection. About a decade ago, Scholz collaborated with writer Leslie Little on a museum quality book about Paris. “I made the Paris Icons book images during two short visits to the city in 2007,” Scholz said. “It then took several months to edit, layout and in general prepare for print. The result was well received and we were awarded three international awards for the publication. By choice, he’s not little documentary work on the gritty margins of life. “That’s a whole journalistic approach I respect greatly – it’s just not me. I like to show the best of people.” That includes showcasing the works of makers’ hands. Then there’s the joy he takes in picturing the natural splendor of God’s handiwork. Shooting Opera Omaha rehearsals and productions has deepened a long-held appreciation for music. Photography has opened new vistas for him. “If I never made another photograph, if I never went click again, I still think my life would be much richer because as I look at the world I see things that before I would never have noticed. The angle of the light or the color or whatever. There’s a whole bunch of stuff I would never have paid attention to, but the discipline of seeing as a camera sees forces you to see these things. “It’s a lot more the work you put into it then the gizmo that goes click. The ultimate satisfaction is the process itself – getting to see things maybe in a little bit unique way and presenting them so that people say, ‘Oh, look at that, I never noticed that, I walked by this every day and never saw it.’ It’s finding what’s interesting. Photographers like him prefer to say they “make” rather than take photos. Walz turned a former Burlington Railroad Station power plant into his home-studio. Contrasting elements can communicate mystery, energy, texture, whimsy, depth of perception, the passage of time, et cetera. For an image he made of footprints in the sand at Canon Beach on the Oregon coast, he explained, “I wanted it to convey the essence of nature and humanity. The ocean is kind of symbolic of the timeless and I had to wait for somebody to walk along the beach to produce footprints, which get washed out with the next wave or two. That’s a story about how nature is constantly washing over us. During a Colorado sojourn he set out to photograph one of the state’s most prominent mountains, Longs Peak. Sometimes, the opportunity for a picture appears as he’s driving to or from an assignment. He secured a model for the shoot at his studio. He made the image and overlaid it in the picture of the field. “People have the idea that in an earlier era of photography, working in the darkroom was somehow pure. Okay, it wasn’t, it never was. As long as I can darken this part and lighten that part (or crop or burn or do any number of things to manipulate an image), it’s a subjective, editorial process. He embraces today’s digital tools. “What I love about PhotoShop is that now I can do things that even in my wildest dreams in the darkroom I couldn’t achieve. For instance, I have an image of an abandoned ore processing plant high in the Colorado back country that’s been a favorite in galleries. I made it with an eight by ten camera and black and white film. I worked and worked in the darkroom to get all the various tonalities but it was hard because the inside of the building was kind of dark. For this oversized image, he placed his developing tray on the floor and angled the enlarger on the print. Whether intuitive or intentional, he’s after the same result – to distill beauty and endow permanence to an ephemeral moment. 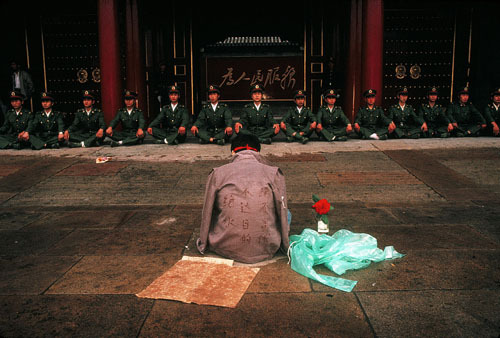 Scholz depends on what he earns photographing for his living. 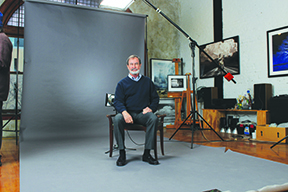 He started his own business, Scholz Images, in 1999. He works from a high-ceilinged downtown studio with ample natural light. It’s outfitted with lights, tents, screens, filters, cases and framed prints. Most of his time is spent not on making photographs but scheduling. marketing, billing and other business matters. Finding and juggling projects isn’t easy. He’s shot for Omaha firms Holland Basham Architects and HDR, for Lincoln-based Clark Enersen Partners and for Denver-based Fentress and Ruggles Mabe. Fentress flew him to Quantico, Virginia for a week’s shoot at the National Museum of the Marine Corps and to Seattle-Tacoma International Airport for an even longer shoot of the Central Terminal Expansion. Traveling for his work brings it’s own challenges. When not flying, he travels to assignments via his trusty Chevy Silverado. For most clients, he’ captures objective reality, though he sometimes heightens things via filters and strobes. Another major commercial client is J & J Flooring Group, which has sent him on various assignments. Buildings are easier. For his architectural work, he used to shoot with four by five film. Though there’s little call for it now, he’s fond of large format film photography because he can attain certain qualities with it he can’t in smaller formats or digitially. He first moved to the bigger format in 1980. He admits he’s “a gear-head” like most photographers when it comes to camera gadgets. 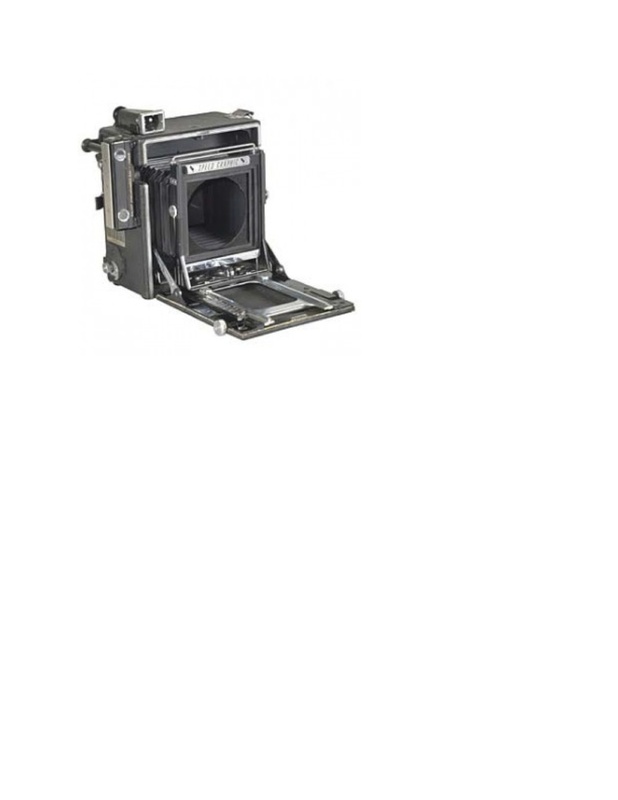 What the large format offers in quality it sacrifices in efficiency. In order to stay current, he’s adapted to digital cameras. He’s remained true to certain brands. For portraits, he uses whatever best serves the subject. A favorite portrait is of a corporate CEO whom Scholz wisely took out of the stuffed shirt, sterile office setting for something more fun and authentic. 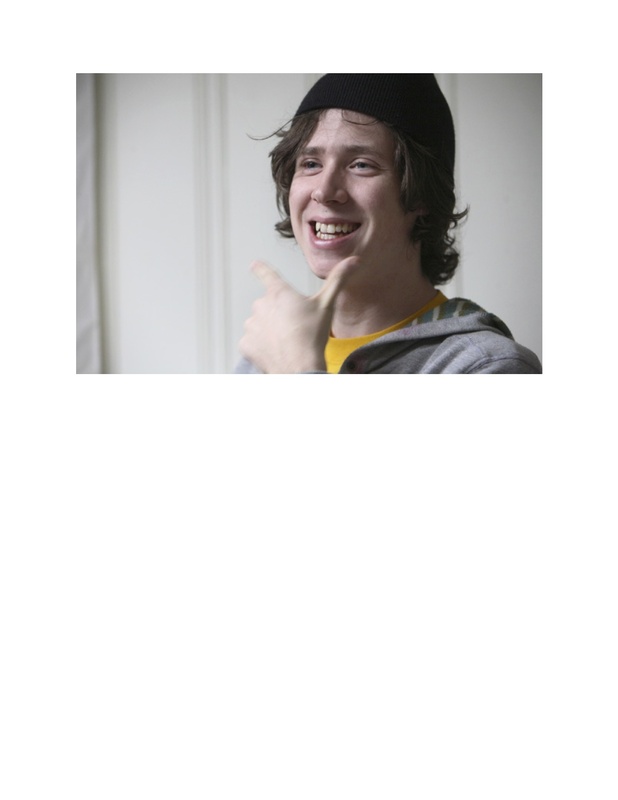 “The guy needed a picture for an annual report. I could see in talking to him he just wasn’t into it at all, so I asked, ‘What do you like to do? ‘ He said, ‘I just bought a motorcycle and I like to ride it Sunday afternoons. I said, ‘Okay, let’s do that.” I sat in the back of a pickup with my camera and his wife drove. We were over in Iowa and we drove maybe 30-40 miles down the highway with his hair blowing in the wind. I made lots of pictures in black and white. The whole thing was stronger to me in black and white. After decades making pictures for public display, Scholz is a fixture on the local photographic scene. He counts as peers such well known shooters as Larry Ferguson, Andrew Baran, Monte Kruse. Patrick Drickey, Kat Moser and Sandy Aquila. He’s talked shop with Omaha native Jim Krantz, who now enjoys a national and international reputation based out of Chicago. His work has shown at Gallery 1516 and Connect in Omaha, at the Museum of Nebraska Art in Kearney and at galleries in Kansas City, Missouri, Santa Fe, New Mexico and other locales. His work is in public and private collections around the nation and even in in other countries. He makes images to be seen. Naturally, he likes it when people respond favorably to his work. Another fringe benefit of shooting for hire is gaining entree to people and places he’d otherwise not get. “Being a photographer often times opens doors to things. You get admitted to a lot of places and things you wouldn’t otherwise have access to. For instance, maybe 15 years ago I got a call from a company here in town sponsoring ex-president Bill Clinton to give a keynote talk at an event in Aspen, Colorado. They wanted a lot of pictures of bill involved with people, so they flew me out to Aspen to do that. I spent three days with Bill. Hilary (Clinton) was there. I made all the pictures. Well, this repeated itself in Miami, once here in Omaha, and several times in Aspen. Being a photographer also means forever chasing perfection that can’t be attained. The same when making pictures. The magic of first seeing an image he’s just made still enthralls him. Hooked for life. If Noah had a camera, perhaps he would have done what noted nature and wildlife photographer Joel Sartore is doing. 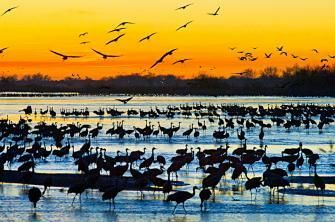 Sartore, who resides in Lincoln, Neb., is a star National Geographic shooter in the midst of an epic project, aptly named Photo Ark, that’s creating an archive of global biodiversity in order to raise awareness and spur acton around endangered habitats and species. The National Geographic Society is throwing its considerable weight behind the effort. The endeavor transcends geo-political differences to put a face on stressed ecosystems and inhabitants. Photo Ark grew out of Sartore’s early assignments around the world documenting wildlife. In addition to National Geographic magazine, he’s shot for Audubon, Life and book projects. His work’s been the subject of national broadcasts. He’s a regular contributor on CBS Sunday Morning. The more he saw and learned, the more species and habitats that became threatened, the more urgency he felt to create a comprehensive archive in his lifetime. “I’ve been a National Geographic photographer for more than 27 years, and I photographed the first 15 years or so out in the wild doing different conservation stories, on wolves, on grizzly bears, on koalas, all in the wild,” he said. “Can I say that moved the needle enough to stop the extinction crisis? No, it did not. So I just figured maybe very simple portraits lit exquisitely so you can see the beauty and the color, looking animals directly in the eye with no distractions, would be the way to do it. Traveling to where species are, often to remote areas, accounts for much of his time on the project.Ironically, the Photo Ark practically began in his own backyard about 12 years ago. “The Photo Ark started when my wife got breast cancer. That event ‘grounded’ me for a year in that I literally needed to stay home and take care of my wife and kids while she got chemo and radiation. She’s fine now, and on the days that she felt better, I started going to the Lincoln Children’s Zoo, a mile from my house, to take photos. The naked mole rat at the Lincoln Children’s Zoo was the first animal to come on board the Ark. He’s already logged thousands of hours and tens of thousands of miles to photograph thousands of species, and yet he’s far from finished. When working in the wild, things can get hairy. For example, there are diseases carried by insects like the Marburg virus. Then there’s a flesh-eating parasite called mucocutaneous leishmaniasis. “These days, working in controlled environments. most of these shoots go extremely smoothly because the animals have been around people all their lives,” he said. “But sometimes the critters do ‘have their way’ with my backgrounds and sets. The work holds deep personal meaning for him. EDITOR’S NOTE:The world’s last male northern white rhino, age 45, died at Ol Pejeta Conservancy in Kenya on March 19. Sartore, a University of Nebraska-Lincoln journalism graduate, is now working exclusively on the Photo Ark. He’s the project’s lone photographer though it’s evolved into a family and legacy adventure. “My oldest child, Cole, goes with me to assist on most foreign shoots and has promised to carry out the work should I not be able to complete it in my lifetime,” Sartore said. The PBS documentary series, Rare: Portraits of the Photo Ark, provided more exposure. Nat Geo Photo Ark EDGE Fellowship is a new initiative aimed at supporting future conservation leaders working on the planet’s most unique and endangered species. In partnership with the Zoological Society of London’s EDGE of Existence program, the fellowship will support funding and highlight creatures in the Photo Ark that historically receive little or no conservation attention. Sartore doesn’t mince words when describing what’s at stake with endangered biodiversity and the consequences of inaction. “We’re looking at a massive extinction event if we don’t control human behavior in a way that spares some of the largest rain forests, prairies, coastal marshes, coral reefs, et cetera. But if we can raise public awareness, and get people to care, it’s my hope there will be far fewer extinctions than predicted. It is not too late to turn this around. In his travels, he encounters just enough positive developments to encourage him. To those who pooh-pooh global warming and the damage done by ever encroaching human contact with the wild, he offers some food for thought. “People don’t think this issue affects them, but it will in a major way in the not too distant future. Climate change, overfishing of the seas, habitat loss, clean air, clean water, good food to eat – these things are all tied together. When we save these other species, we’re actually saving ourselves. It’s my hope, my prayer, that the public wakes up, and soon. There’s still time to save the Earth, but we must act now. In 2019, the Lincoln Children’s Zoo will incorporate a Photo Ark show into its new exhibit space. Even three decades into his high profile career, Sartore still has to pinch himself that it’s real, especially the part about his modern-day Noah’s ark gig. For more about the project, visit natgeophotoark.org. Read more of Leo Adam Biga’s work at leoadambiga.com. Thursday, July 21 @ 7 p.m.
Fiore very much sees himself as a storyteller working in light and image to fulfill the vision of the writer and director. The July 21 discussion will be moderated by yours truly. As an author-journalist-blogger I bring years of experience writing and reporting about film to the moderator’s chair. 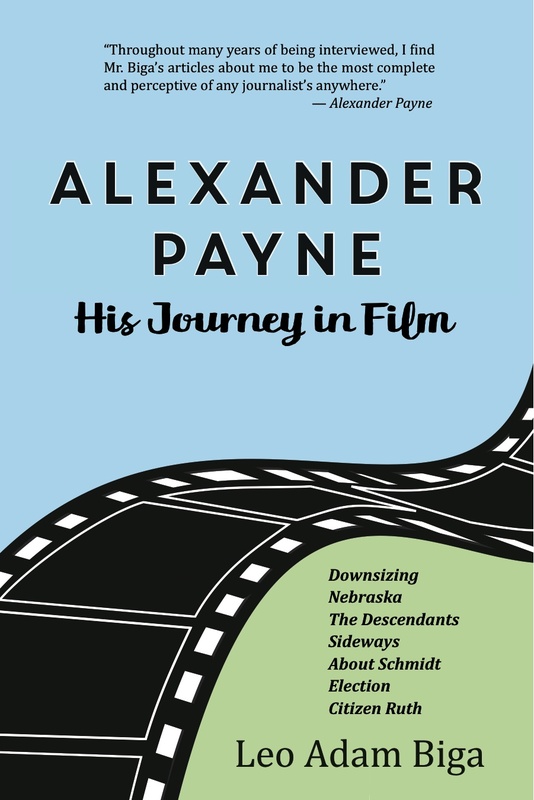 I am the author of “Alexander Payne: His Journey in Film” – a collection of my journalism about the Oscar-winning filmmaker. I will be selling and signing a new edition of the book at the event. “Alexander Payne: His Journey in Film” charts the Oscar-winning filmmaker’s rise to the elite ranks of world cinema. Articles and essays take you deep inside the artist’s creative process. It is the most comprehensive look at Payne and his work to be found anywhere. This new edition features significant new content related to “Nebraska” and “Downsizng.” We have also added a Discussion Guide with Index for you film buffs and students. The book is also a great resource for more casual film fans who want a handy Payne primer and trivia goldmine. The book releases September 1 from River Junction Press. The native of Calabria, Italy is one of three Oscar winners residing in Nebraska. This A-list director of photography is married to an Omaha gal he met on set. He works with leading Hollywood directors. He has been the cinematographer for James Cameron on Avatar, Michael Bay on The Island, Joe Carnahan on The A-Team and Smokin’ Aces, Peter Berg on The Kingdom and Wayne Wang on The Center of the World. His collaborations with director Antoine Fuqua extend over five films, beginning with their breakout project, Training Day, followed by Tears of the Sun, The Equalizer, Southpaw and coming this fall – The Magnificent Seven. Their work together is one of the longest-lived and most successful collaborations between a director and cinematographer in contemporary American cinema. The art and craft of cinematography is the focus of the July 21 program at Kaneko in the Old Market. I will be interviewing Mauro live on stage for this Inside the Actors Studio-style event featuring clips from his stellar body of work. Mauro’s journey in film encompasses 30 years. It began with a long apprenticeship. He paid his dues on low budget exploitaion films as a key grip, dolly grip, electrician and gaffer. He crewed on some make-wave films in the early 1990s, such as One False Move and Schindler’s List. His move into camera operating led to doing additional photography on a pair of Michael Bay mega-hits, The Rock and Armageddon. That led to Mauro getting the DP job for Bay’s The Island. He has sometimes worked with his close friend, mentor and colleague Janusz Kaminiski. Mauro will discuss his approach to lighting sets and photographing scenes as an integral part of the storytelling process. He will also touch on his mentors, collaborators and inspirations. My conversation with Mauro will offer a rare, personal, behind-the-scenes look at how films actually get made and at what goes into capturing the arresting images, performances and physical action bits that entertain or move us and that in some cases become imprinted in our memory and imagination. KANEKO | 1111 Jones Street, 7:00 p.m..
KANEKO will host Mauro Fiore: Writing with Light on July 21 at 7 p.m.
Tickets are $10 for General Admission and FREE for KANEKO Members. KANEKO will host Academy Award winning cinematographer Mauro Fiore for an audio-visual presentation exploring his career as a filmmaker. Fiore has worked on numerous films including Training Day, The A-Team, and Avatar, for which he was awarded the Academy Award for Best Cinematography. A veteran of the Holly film industry, Fiore is recognized for his skill with light and realism. The discussion will be moderated by professional writer and storyteller Leo Adam Biga, author of Alexander Payne: His Journey in Film. Mauro Fiore: Writing with Light is a part of the Storytelling season at KANEKO June 3 – August 27. 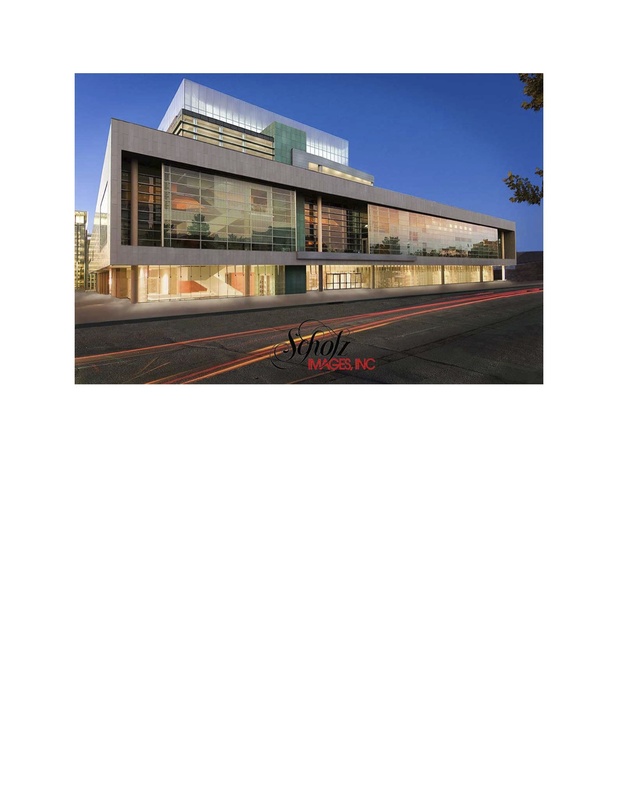 Learn more about the Storytelling exhibitions and programs HERE.